Having read the Big Sleep and Long Goodbye, I thought I would blog about American crime Novelist and screenwriter Raymond Thornton Chandler, who was Born July 23, 1888 in Chicago Illinois, He became a detective fiction writer in 1932 at the age of 44 after losing his job as an oil company executive during the Depression. His first short story, “Blackmailers Don’t Shoot”, was published in 1933 in Black Mask, a popular pulp magazine. His first novel, The Big Sleep, was published in 1939. In addition to his short stories, Chandler published seven full novels during his lifetime (though an eighth in progress at his death was completed by Robert B. Parker). All but Playback have been made into motion pictures, some several times. .Chandler had an immense stylistic influence on American popular literature, and is considered by many to be a founder, along with Dashiell Hammett, James M. Cain and other Black Mask writers, of the hard-boiled school of detective fiction. His protagonist, Philip Marlowe, along with Hammett’s Sam Spade, is considered by some to be synonymous with “private detective,” both having been played on screen by Humphrey Bogart, whom many considered to be the quintessential Marlowe.Some of Chandler’s novels are considered to be important literary works, and three are often considered to be masterpieces: Farewell, My Lovely (1940), The Little Sister (1949), and The Long Goodbye (1953). The Long Goodbye is praised within an anthology of American crime stories as “arguably the first book since Hammett’s The Glass Key, published more than twenty years earlier, to qualify as a serious and significant mainstream novel that just happened to possess elements of mystery. Chandler sadly passed away March 26, 1959 in La Jolla, California, however in the year before he died, he was elected president of the Mystery Writers of America and his novels remain popular to this day. The late John Rutsey, Canadian ex-drummer with rock band ush) was born 23 July 1952. Rush were formed in August 1968, in the Willowdale neighbourhood of Toronto, Ontario. The band is composed of bassist, keyboardist, an lead vocalist Geddy Lee, guitarist and backing vocalist Alex Lifeson, and drummer, percussionist and lyricist Neil Peart. The band and its membership went through a number of re-configurations between 1968 and 1974, Neil Peart replaced original drummer John Rutsey in July 1974, two weeks before the group’s first United States tour, during which they played Agora Ballroom, Cleveland, which also became Rush s very first radio broadcast and the concert is featured on the Album “ABC 1974″.The year after, Rush also played songs from the groups second album Fly by Night and would go onto play many more shows at Agora BallroomSince the release of the band’s self-titled debut album in March 1974, Rush have become known for their musicianship, complex compositions, and eclectic lyrical motifs drawing heavily on science fiction, fantasy, and philosophy. Rush released their latest studio album, Clockwork Angels in 2012. It was first album in five years since, 2007’s “SNAKES & ARROWS.” and is the band’s 20th studio album. The first single from the album was “Headlong Flight” and there is also a tour supporting the album. Slash, the English-born American Solo Artist and former guitarist with Guns N’ Roses was born 23rd July 1965. Guns N’ Roses were formed in Los Angeles, California, in 1985. The classic lineup, as signed to Geffen Records in 1986, consisted of vocalist Axl Rose, lead guitarist Slash, rhythm guitarist Izzy Stradlin, bassist Duff McKagan, and drummer Steven Adler. Today, Axl Rose is the only remaining original member, in a lineup that comprises Use Your Illusion–era keyboardist Dizzy Reed, lead guitarists DJ Ashba and Ron “Bumblefoot” Thal, lead and rhythm guitarist Richard Fortus, bassist Tommy Stinson, drummer Frank Ferrer and keyboard player Chris Pitman. 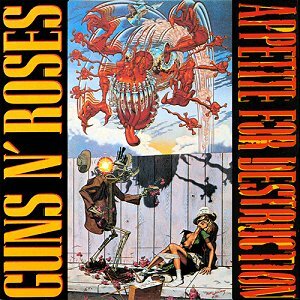 The band has released six studio albums.Guns N’ Roses’ debut album Appetite for Destruction reached No. 1 on the Billboard 200, hit “Sweet Child o’ Mine“, became their only single to reach No. 1 on the Billboard Hot 100 and The album became the best-selling debut album of all time in the U.S. Thanks to songs like Paradise City and Welcome to the Jungle. Martin Gore, The Keyboard Player and Guitarist with Depeche Mode and VCMG was born 23rd July 1961,Depeche Mode were formed in 1980 in Basildon, Essex. The group’s original line-up consisted of Dave Gahan (lead vocals), Martin Gore (keyboards, guitar, vocals, chief songwriter after 1981), Andy Fletcher (keyboards) and Vince Clarke (keyboards, chief songwriter 1980–81). Vince Clarke left the band after the release of their 1981 debut album, Speak & Spell, and was replaced by Alan Wilder (keyboards, drums, occas tional songwriter) with Gore taking over songwriting. Wilder left the band in 1995 and since then Gahan, Gore, and Fletcher have continued as a trio. 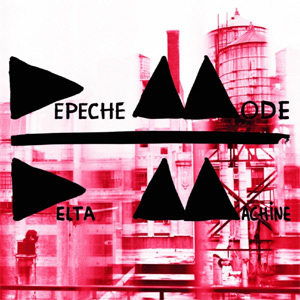 Martin Gore is also currently pursuing a collaboration with Vince Clarke on the Album VCMG-Ssss And the latest Depeche Mode album Delta Machine was released recently. Depeche Mode have had 48 songs in the UK Singles Chart including “Enjoy the Silence” “Policy of Truth” “Personal Jesus“ “World in My Eyes””Never Let Me Down Again” and “Walking in My Shoes” twelve top 10 albums in the UK charts, two of which debuted at #1. According to EMI, Depeche Mode have sold over 100 million albums and singles worldwide, making them the most successful electronic band in music history. Q magazine calls Depeche Mode “The most popular electronic band the world has ever known” and included the band in the list of the “50 Bands That Changed The World!”. In 2010 Depeche Mode were ranked No. 98 on VH1′s list of the “100 greatest artists of all time”. On Monday 22 July 2013, At 4.24pm, Catherine, Duchess of Cambridge gave birth to a healthy son, weighing 8lbs 6oz (3.8kg at the Lindo wing at St Mary’s hospital, Paddington, west London. A spokesman for Kensington Palace says baby weighs 8lb 6oz but saiD it was “too early” to say if the family would be leaving St Mary’s Lindo wing on Tuesday. Both are said to be overjoyed although it is not known whether the couple will receive visitors. While Kate’s parents, Carole and Michael Middleton, and siblings Pippa and James may pop in, Meanwhile new grandfather the Prince of Wales was continuing his two-day visit to Yorkshire. It is thought unlikely that the Queen will visit – though she did on the occasion of William’s birth. But she will undoubtedly be able to see her third great-grandchild in private before departing for Balmoral for her summer sojourn on Friday. No name has yet been announced for the third-in-line to the throne, though the bookies’ favourites were George and James, although he has alresdy been given the title Prince of Cambridge. The couple have drawn up a shortlist but, given their son’s destiny, will be consulting with members of the royal family. It took one week for William’s name to be made public, and a month for Charles’s. The birth of a boy means the history books will not be totally rewritten. Had the baby been a girl, the newly passed Succession to the Crown Act 2013 would have seen her become monarch, even if a younger brother was born. But the act does mean that the new prince, should he chose, could marry a Catholic without renouncing his right to the throne, though he cannot be one himself. There were celebrations around the world to mark the occasion. New Zealand got in early with its 21-gun salute, due to the time difference, staging it outside parliament in Wellington. The country also planned to illuminate 37 landmarks nationwide. In London,The King’s Troop Royal Horse Artillery will ride past Buckingham Palace to stage a 41-gun royal salute in Green park at 2pm. At the Tower of London, there will be a 62-gun salute from the Gun Wharf by the Honourable Artillery Company. A royal gun salute normally comprises 21 rounds, increased to 41 if fired from a royal park or residence. The Tower gets an extra 21 for the citizens of the City of London to show their loyalty to the monarch.Outside Buckingham Palace the ornate easel, upon which the foolscap bulletin announcing details of the birth to the world was placed last night, remained in place. Trafalgar Square’s fountains have also been lit with blue lights, and will remain lit for the next six days, as will London’s Living Room at the top of City Hall.The fountains in Marble Arch and the Golden Jubilee bridge were also lit up in blue and will remain so until midnight. Niagara Falls in Canada was illuminated in blue, as was the Peace tower and parliament buildings in Ottawa, and the CN tower in Toronto.On board HMS Kent, crew lined up to spell out the word “BOY” on deck. Messages of congratulation continued to flood in from across Britain and the world. President Barack Obama and his wife Michelle were among the first to congratulate the couple on “the joyous occasion”, with the president referring to the “special relationship” between the US and Britain making Americans “pleased to join with the people of the United Kingdom as they celebrate the birth of the young prince”.Canada’s prime minister, Stephen Harper, sent his “heartfelt congratulations”. As things stand, the baby prince is destined to be king not just of Britain, but 15 other Commonwealth realms including Canada and Australia.Kevin Rudd, the prime minister of Australia, announced the country’s gift to the baby prince would be a research project examining a desert-dwelling Australian marsupial, the bilby in honour of Prince William’s fondness for Australian marsupials In a statement, Rudd said the country shared the joy of the royal family: “Prince William holds a special place in the hearts of many Australians. New Zealand, meanwhile, is sending a gift of a hand-woven, fine lace shawl, which took more than 280 hours to weave. Station commander Group Captain Adrian Hill, from RAF Valley, where William serves as a search and rescue pilot Also said: “We are delighted to learn that Flight Lieutenant Wales and the Duchess of Cambridge are now proud parents of a newborn son.” The Irish Guards, of which William is colonel, raised a traditional glass of stout at their barracks in Aldershot and bases in London to wet the baby’s head.The Royal Mint has unveiled a commemorative silver penny to mark the occasion. It will produce 2,013, which are available to babies born on the same day as the prince.